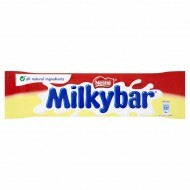 Ingredients Sugar, Glucose Syrup, Skimmed Milk Powder, Cocoa Butter, Cocoa Mass, Sunflower Oil,.. 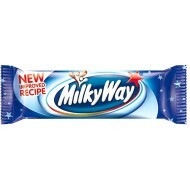 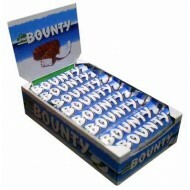 Ingredients Sugar, Whole Cows' Milk (26%) (that's been Dried), Cocoa Butter (made from Cocoa Be.. 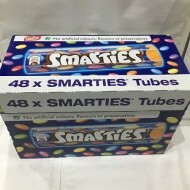 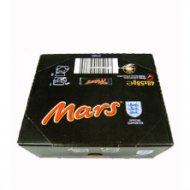 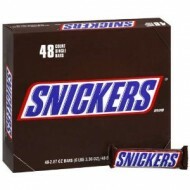 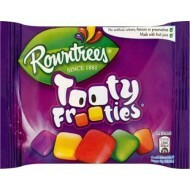 Ingredients Sugar, Glucose Syrup, Milk Ingredients (10%) (Skimmed Milk Powder, Milk Fat), Cocoa..
NESTLE LION BAR CHOCOLATE WHITE 40 x 42g FULL BOX FREE UK DELIVERY ..
Nestle Smarties TUBES 38G FULL BOX 48 TUBES ..
Rowntrees Tooty Frooties Small Pack 45 g (Pack of 12) FREE POSTAGE .. 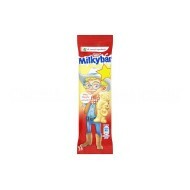 Ingredients Sugar, Peanuts, Glucose Syrup, Skimmed Milk Powder, Cocoa Butter, Cocoa Mass, Sunfl..